This light filled contemporary encompasses the best of the Vineyard, offering all you would need for a perfect vacation. 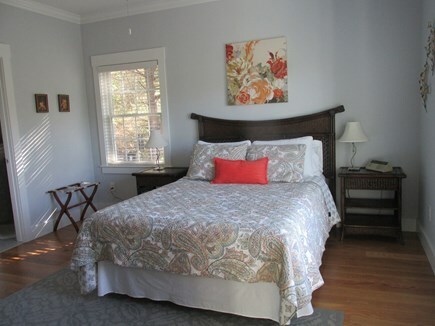 Located in-town, it is an easy walk to the restaurants, shops, galleries and the waterfront. You will love the open floor plan, expansive windows, the comfortable and new decor, living conveniences and its close proximity to town. The 1st floor includes a large open family room with cathedral ceiling and stone fireplace, a granite kitchen complete with everything, dining room which seats 8, Den with TV, a powder room and laundry. Also included on the first floor is a Master bedroom suite with a full bath, making it ideal for grandparents or extra guests. 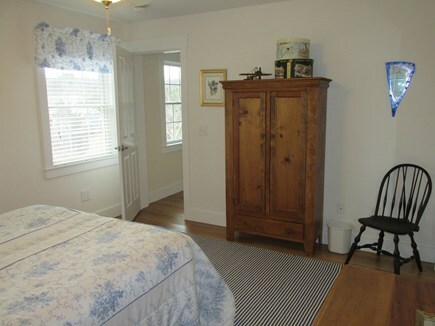 The 2nd floor includes another master suite with full bath, 2 additional bedrooms, and another full bath. Set back off the road, this is a wonderful private space with a professionally landscaped yard, ideal for a game of Wiffle ball, Frisbee, badminton or just relaxing. The location can’t be beat. 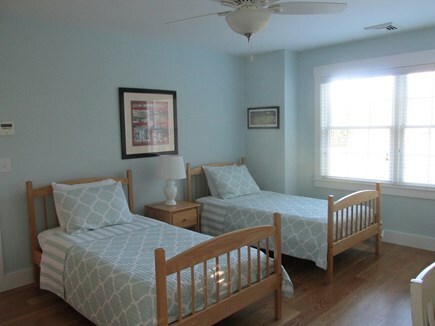 Located on a quiet street, it is an easy walk to the village, grocery store, restaurants, Dairy Queen or a bike ride to the beach or Morning Glory Farm for some fresh homemade baked goods or fresh homegrown veggies. Wireless Internet, beach chairs, beach towels, beach toys, 2 bikes, cooler and outdoor games are only some of the amenities which are included. There is even a ping pong table in the basement for those rainy days. Additional pricing info: $500 Security Deposit, $250 Cleaning Fee and $250 Linen Rental Fee per week (or bring your own), State and local taxes of 9.7% will apply.